Researchers have created a new algorithm that can speed up the process of 3D printing, tackling one of the biggest drawbacks to using the technology—the slow pace of work. One of the challenges for today’s 3D printers lies in vibrations caused as they work. A printer’s movable parts, particularly in lightweight desktop models, cause vibrations that reduce the quality of the printed item. And the faster the machine moves, the more vibrations the machine creates. “Armed with knowledge of the printer’s dynamic behavior, the program anticipates when the printer may vibrate excessively and adjusts its motions accordingly,” says Chinedum Okwudire, an associate professor of mechanical engineering who directs the University of Michigan’s Smart and Sustainable Automation Research Lab. 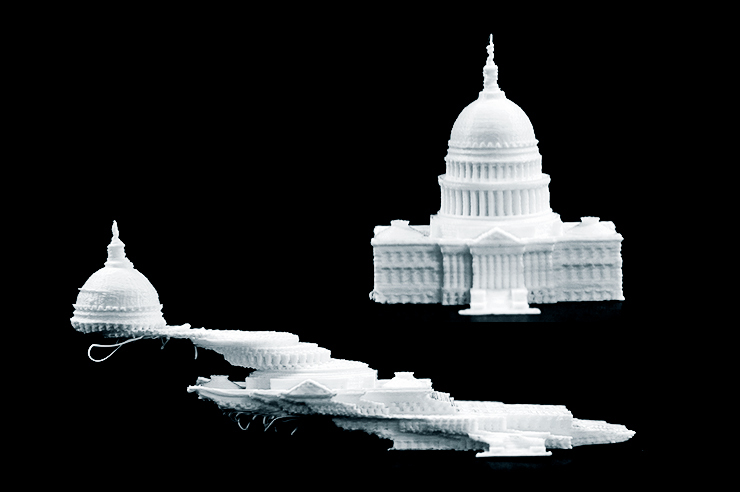 To ensure 3D printing machines reproduce details accurately, the machines operate slowly. And the pace of 3D printing is one of the factors that has prevented the technology finding a broader audience. Okwudire cites statements made last year by one 3D printing company executive about the issues holding the industry back. “Our software is like that person who realizes their voice is going to be overly amplified,” Okwudire says. “It acts preemptively because it knows that the behavior of the printer is going to be ahead of time. Okwudire says his software can also be used on a variety of industrial-grade machines which suffer from similar limitations due to vibrations. The researchers outline their work in a paper in the journal Mechatronics.